On December 6, 2007, my youngest son Dylan suffered a grand mal seizure at the age of 12 months (the same time I started introducing more foods like gluten and dairy.) (To the left is a picture of him 2 days after his seizure.) He was sick with a cold (he was sick often) and came down with a slight fever that came and went for 24 hours, but no big deal. He acted fine. The next day, he was not feeling well at all. It was about 3pm and he had just finished a late lunch about an hour before (I think it was mac-n-cheese). He wouldn’t let me put him down for his nap so I just decided to hold him so that he could get some sleep – something I never did. I was nursing him and he felt warm. He jerked a couple times while I was nursing him like he was having a bad dream, but then would go back to sleep and I didn’t think anything of it. Then he suddenly jerked his eyes wide open, his whole body clenched and he started shaking uncontrollably with violent jerks, and making a hiccupping/gulping noise as if he were gasping for breath. He also started to drool and foam at the mouth. I immediately called 911 and told them my son was having a seizure. She told me to hold him sideways so he wouldn’t choke if he vomited. An ambulance was on the way and for the next 3 minutes or so he seizured, unable to breathe. His movements finally slowed as his lips turned blue and his eyes rolled to the back of his head and he went limp just as the paramedics arrived. They immediately put an oxygen mask on him and took his temperature. It was at 104. They pulled off all his clothes and put ice packs on him. He started to cry weakly. I told them I hadn’t noticed he was that warm. They said he had a febrile seizure and sometimes a temperature can go from 98 to 104 in a matter of 5 minutes. The rapid rise in temperature is what causes the seizure, not the high temp itself. They strapped him to a board and took him to the hospital in the ambulance. Tears rolled down his scared little face as he cried and looked back at me riding in the ambulance. At the hospital, they poked him and tested for infections, etc. Nothing. We finally went home and was told to alternate Tylenol and Motrin every 3-4 hours to keep the fever down. Well, being all natural, I hate to give my kids anything unless they really need it, but I didn’t want to go through that again. The artificial flavors from the dye-free Motrin were making him crabby and unable to sleep. He had always been a good sleeper, so I knew that was the reason for the change. It didn’t make sense to give him something that was going to make him not sleep, when, if he’s sick, he needs to sleep to get better. He still had a fever for the next couple days, on and off, in between rounds of Tylenol and he developed a really bad cold which led to an ear infection, which led to his first round of antibiotics (another thing I hate to do, but the doctor told me I should because he could get another fever from the infection). After the Tylenol and antibiotics, he remained crabby and aggressive, unlike his first 12 months of life where he was very calm, happy, and content. I now attribute this to yeast overgrowth from the antibiotics most likely. The doctor told me he was now more likely to suffer future seizures (great! ), and there was really nothing I could do about it (wrong answer). She said she wouldn’t worry about it unless he had another seizure, at which point they might do neurological testing. So, I decided to hope for the best, and pray that this was just a fluke thing that would never happen again. April 6, 2008 – 3:00pm. Again he was acting a little out of it and wouldn’t settle down for a nap. Had mac-n-cheese or a peanut butter and jelly for lunch (I know, stupid me. I forgot about not feeding them peanuts until they’re 3). I was nursing him and he drifted off to sleep. This time he hadn’t been very sick at all. Again, he started to seizure the same way. I immediately called 911. A neighbor who was a fireman and off duty heard the call on his radio and recognized the address because our kids had played together. He came over just as Dylan started to pass out. He said Dylan looked OK and was still breathing and could do CPR if needed. Just then, the paramedics arrived. They gave him oxygen and he started to cry. I held him and let them look him over. He had spiked a fever again but it was down to about 102. After he seemed OK, I decided not to take him to the hospital, against their wishes. I had already done some research on seizures and I knew they would just poke him with needles again and there was really nothing they could do. I agreed that I would take him to his doctor that day. So, I took him to his doctor, who didn’t seem alarmed. She said if it happened again, she would suggest neurological testing – the same thing she told me after the first seizure! She just said it was something he was going to be prone to, and not much I could do about it, but try to keep him from getting sick. That’s easy, with two older siblings in school! The only thing I could do was make sure he got enough rest and free from as much stress as possible. I had been driving Cody to school a half an hour away and had to get the kids up at 6:30am to ride in the car for over an hour. Dylan always hated driving in the car and would often cry the whole way. I tried to find someone to carpool with, to no avail, so I pulled Cody from his school after the first semester and transferred him to a closer Christian school. So anyways, to finally get to the answer of why we started GFCF…. a couple days after his second seizure, I managed to get to the library and get Jenny McCarthy’s book, Louder Than Words. I remembered seeing her on Oprah and that her son had seizures. I read the whole book in one night. Much of the book talks about her son Evan’s near death seizures, their bouts with various seizure meds that had many bad side effects and were ineffective, and also his diagnosis of autism. Then she started the GFCF diet and he started to improve and the seizures started to stop…until one day when she was away on a trip and her husband let him go off diet and had given him a milkshake. He had a seizure and almost died again. 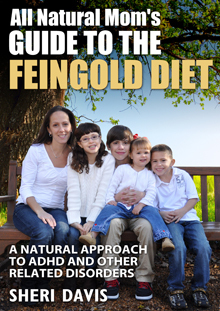 She goes on to talk about his autism and biomed and how the diet and supplements helped recover her son from autism. 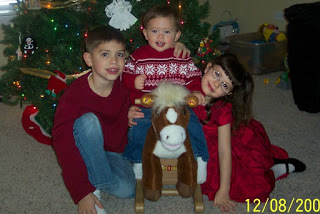 After reading the book, I realized my daughter Lynsey had a lot of the same characteristics of autism that Evan had. I remember after seeing Jenny on Oprah the year before thinking to myself that that sounded a lot like Lynsey and I even told my husband, “I think Lynsey has autism.” He kind of laughed and shrugged it off. I wasn’t sure what to think but I didn’t pursue it any more. After reading the book, it made sense to me that gluten and dairy could be possible causes of seizures. I started Lynsey and Dylan on the diet the next day, cold turkey (or more like room temperature turkey :)) I didn’t know too much about what contained gluten and dairy, but we had been doing the Feingold Diet (no artificial colors, flavors, or preservatives) for a couple years, so some of our more natural foods had the words “Gluten Free” on them. We had some Applegate Farms hot dogs and their turkey slices, ate a lot of Fritos and Lays potato chips those first few days. I made them scrambled eggs,(which we later found out they are allergic to! Oops! ), hamburgers with no buns (they had to get used to the idea of no buns, but they ate it! :)), we had some cereal that was GF and we had been using rice milk already (always knew my kids and I were allergic to milk, but really just eliminated straight milk and limited the rest of dairy), and fruits and veggies. Dylan was still sick so I couldn’t get out to the health food store or Whole Foods till about day 3 on the diet, but we managed. 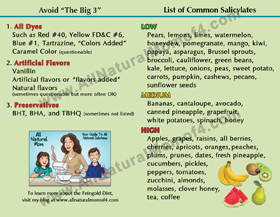 It has been almost a year now on GFCF and biomed (supplements, testing for food allergies, yeast, vitamin deficiencies, immune balance disfunction, etc. ), and no more seizures, no high fevers, and no more seizure activity. He used to always twitch as he was falling asleep nursing and right after I put him down in his crib. If I watched him, he would do it for a while and toss and turn all night. I later discovered I was passing on gluten and dairy to him via breastmilk and had to go on the diet myself. He would also tighten his muscles and clench his teeth sometimes right after waking from a nap and be looking off in a scared daze. He was probably having “mini” (abcess) seizures. All of this stopped after going GFCF. Interestingly, one time he was given a regular cracker in the church nursery on accident. That day, he woke from his nap with tightened muscles and in a daze and tossed and turned all night (from one cracker!). He no longer has such dramatic reactions to gluten if he accidentally gets it. I think in the beginning, it the body’s natural response while detoxing, and once the body rids itself of offensive foods, it is better able to handle occassional offenses. Dylan has never been vaccinated, but I do know of many moms and biomed doctors who believe that vaccinations and the toxins in them are the root cause of their children’s seizure disorders (Jenny McCarthy being one of them, which is why she is so vigilant about greening our vaccines.) Her son still battles with seizures, but the diet has helped decrease them greatly. If foods are not the cause of seizures, and you believe the metals from the vaccines are, you want to detox the body as much as possible by eating right, avoiding allergic foods, and supplementing with detoxing aids (glutathione gel, etc. – talk to your DAN! doctor) and vitamins that your children are deficient in. People in Asia use B6 to treat seizures as many people who suffer from seizures are extremely deficient in this vitamin and it has shown to prevent seizures. Needless to say, I am so grateful to have found this diet and biomed. It has helped my kids tremendously. I will post about the benefits and changes I have seen in my kids in another post. 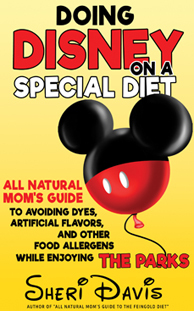 After allergy testing, we also discovered that Dylan is allergic to peanuts and eggs, which could have also contributed to the seizures, although I can still see a direct link from gluten to his seizures, as do many other moms on http://www.gfcfdiet.com/ forum. My DAN! (Defeat Autism Now) doctor did a study that linked dairy to seizures. I know this is a very long, detailed answer to why we started GFCF, but I wrote it out in case it might help someone else out there who has a child who suffers from seizures or autism. My instinct was telling me that giving Motrin and Tylenol every 3 hours just wasn’t the answer. As Dr. Kenneth Bock says in his book, “Healing the New Childhood Epidemics – Autism, ADHD, Asthma, and Allergies”, you have to get to the root of the problem. Something is causing these kids to have seizures. It’s their bodies way of telling them that something is wrong. The fevers might be causing the seizures, but the real question is, what is causing the high fevers and frequent illnesses? After the second seizure, I felt like God was trying to get my attention. This wasn’t just a fluke thing, and it wasn’t going away. The day that I decided to start the diet, I got a call from my husband from work. His bosses wife had heard about our concerns and issues with Dylan and Lynsey and said she knew of a woman from church (Jane Casey) who had recovered her two autistic twin sons using the GFCF diet and other interventions (biomed). She didn’t know that I had already decided to start the kids on GFCF. This mom was now a GFCF nutritionist. She gave me her number and I called her and she gave me the name of a local DAN (Defeat Autism Now) doctor who could help us with getting tests done, etc. I don’t know what I would have done had I not discovered all of this. My husband’s boss was also an elder at our church and he and his wife had been praying for Dylan since his first seizure. God knows exactly what is going on inside our children’s little bodies. He knows what is causing them problems. I often ask God for wisdom to show me what I need to do with my kids to make them better. James 1:5-6 says “If any of you lacks wisdom, he should ask God, who gives generously to all without finding fault, and it will be given to him. But when he asks, he should believe and not doubt, because he who doubts is like a wave of the sea, blown and tossed by the wind.” And Phillipians 4:6 : “Do not be anxious about anything, but in everything, by prayer and petition, with thanksgiving, present your requests to God.” We could just ask God for instant healing, and there’s nothing wrong with that, but I believe God has a bigger purpose in mind when he allows challenges in our lives. Romans 5:14 says “Not only so, but we also rejoice in our sufferings, because we know that suffering produces perserverance; perserverance character; and character, hope. And hope does not disappoint us…” Anyone with a child with autism or seizures knows all about suffering, and anyone doing GFCF and biomed knows all too much about perserverance. So I figure, if you’ve made it that far, you’re half way there to hope, the kind of hope that doesn’t disappoint. The whole message of biomed is that there is hope. You don’t have to accept the notion that your child will never recover and there is no cure. Many parents have recovered their children, and many more have seen drastic improvements. Every child has unique issues going on in their bodies, and this may not be the answer for every child, but seek God and seek His wisdom, and educate yourself on the issues that your child has. 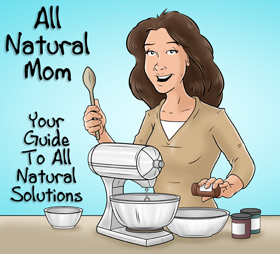 Don’t forget – All Natural Mom is also on Facebook!